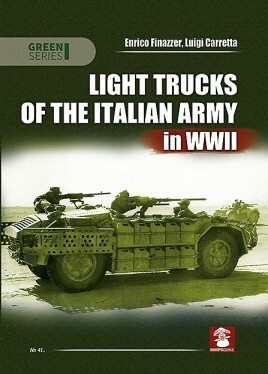 This book provides a detailed account of specialized light gun trucks produced by Italian industry in response to a specific request of the Regio Esercito between mid-1942 and mid-1943, known as the AS42 and the AS43, “AS” standing for “Autocarro Speciale” or “Automezzo Speciale” (Special truck), or, more currently, camionette. These vehicles were meant to be used in desert warfare, issued to the unit called the Raggruppamento Sahariano, (Saharan Group), to be used in action against the British Long Range Desert Group, or for special operations behind enemy lines, in force to the Italian special forces designated the X Reggimento Arditi. In point of fact, they came too late and in too small a number to make a real impact in that theater, and after the fall of Africa into Allied hands they were diverted to several different units, as anti-paratroopers companies or anti-bridgehead mobile battalions either in Sicily or in the Italian mainland. After the Italian Armistice, furthermore, they served both with German troops and with the armed forces of the Repubblica Sociale Italiana..